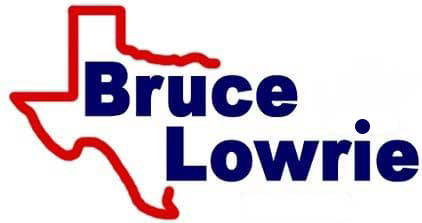 If you're a Weatherford, Texas, driver who is looking for a customized sales, finance or auto maintenance process, head to Bruce Lowrie Chevrolet in Fort Worth today. Our new and used car dealership offers a variety of services to put to use, and thanks to our interactive website, our customizers can enjoy the streamlined, hassle-free experiences that they deserve. Get in touch with us today to let us know what it is you're looking for or browse our auto website now! So team up with our auto sales department to be introduced to the trims that fulfill your vehicle search requirements! All those near Arlington, TX who are interested in car financing services are invited to drop by our new and used Chevy dealer to meet with our loan experts. Our staff works with all credit scores, including those that may be considered to be sub-prime, and will negotiate with a range of lenders to ensure we're receiving competitive terms for our clients. Learn how you can finance a Chevrolet Equinox, complete one of our car credit applications now! Our new and used Chevrolet dealership near Weatherford, TX has both a service center and parts department that can help keep your vehicle up to its factory specifications, fuel efficient and running smoothly, so feel free to book a maintenance appointment or order genuine car parts and accessories online now! We've also made a variety of service and parts specials available online, so don't hesitate to browse our offers before getting in touch with our certified technicians for assistance. We look forward to learning more about your vehicle needs, so don't hesitate to drop by to see us in Fort Worth, Texas, today. Getting here is easy! Simply head southwest toward York Ave., and make a right onto York Ave. before turning right onto Dallas Ave.
Next, take a right onto N Main St. and keep left to take US-180 E. Then take a right onto E Bankhead Dr. followed by a left onto I-20 E. Merge onto I-20 E and keep right. You'll exit toward Hemphill St. before merging onto California Pkwy S/SW Loop 820. Our new and used car dealership will be on the right-hand side!